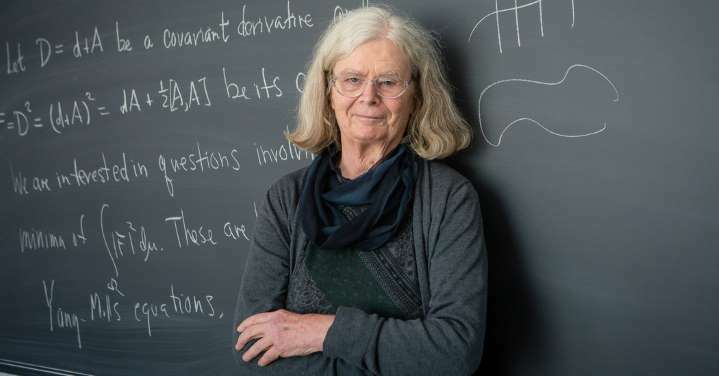 “Karen Uhlenbeck receives the Abel Prize 2019 for her fundamental work in geometric analysis and gauge theory, which has dramatically changed the mathematical landscape,” Abel Committee chairman Hans Munthe-Kaas said in a statement. “I am aware of the fact that I am a role model for young women in mathematics,” said Uhlenbeck, according to a Princeton statement. The Cleveland native “developed tools and methods in global analysis, which are now in the toolbox of every geometer and analyst,” the Norwegian Academy of Science and Letters said. Only one woman has won the other major international mathematics prize — the Fields Medal — Maryam Mirzakhani of Iran in 2014. She died in 2017. “There needs to be some ‘critical mass,’ not a just few truly outstanding exceptional individuals for the math community to recognize and accept women as equally talented (in math) as men,” she told AFP. “But change is coming and is in the air,” she added, pointing to wins by Uhlenbeck and Claire Voisin, who won the Shaw Prize in science in 2017. Along with the Fields Medal, which is awarded every four years at the Congress of the International Mathematical Union (IMU), it is one of the world’s most prestigious maths prizes.